AmaViola was custom-built for the family market. Once considered an adult vacation, European river cruises are now catering to families with children. Several operators point to specific departures as being kid-friendly, with excursions and onboard activities to appeal to young travelers. The lines said the minimum age is 4 years old, but the recommended youngest age is 8. Here’s a sampling of 2017 European family river cruises. The family-friendly Adventures by Disney cruises are operated on AmaWaterways ships. This year, 12 departures are scheduled on three itineraries. 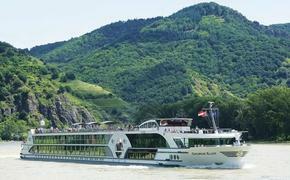 The four seven-night “Rhine River Cruise” departures in June and July were all on waitlist at press time, but there appeared to be more availability on the seven-night “Danube River Cruise” departing June 21, June 28, July 5, July 12, July 19, July 26 and Aug. 2, 2017; child fares start at $4,139, adults $4,349. Adventures by Disney also operates seven-night Christmas market cruises departing Dec. 20 on the Danube and Dec. 23 on the Rhine. Tauck’s family-oriented program includes 20 European river cruise departures in 2017, double the number over last year. This year, it introduced its fourth family itinerary, a seven-night “Family Fun along the Seine: Paris to Normandy.” The new Seine itinerary operates round-trip from Paris on the new 98-passenger MS Sapphire. Departure dates in 2017 are June 29, July 4, July 9 and July 14; fares start at $4,290. Tauck Bridges also operates the seven-night “Bon Voyage! France Family River Cruise” on the Rhône River between Paris and Lyon. The 2017 departures are July 17, July 22, July 27, Aug. 1, 2017; fares start at $4,290. 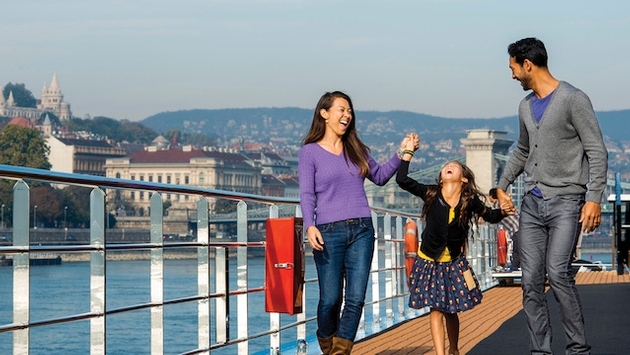 The seven-night “Blue Danube: Family Riverboat Adventure” through Hungary, Slovakia, Austria and Germany, departs on June 24, July 1, July 10, July 17, July 31 and Aug. 5 this year, with fares starting at $3,990. The seven-night “Castles on the Rhine: Family Riverboat Adventure” cruises through Switzerland, France, Germany and the Netherlands. In 2017, there are departures on June 22, June 29, July 18 and July 25. Fares start at $4,190. This luxury river line is operating 18 family departures on nine itineraries in 2017, up from just five departures two years ago. Children ages 4-17 cruise at half-price on these sailings. Three departures are on Uniworld’s newest ship, the 128-passenger Joie de Vivre, which will operate the eight-day “Paris & Normandy” itinerary departing June 25, July 2 and July 9. Fares start at $4,349. Other family-friendly cruises and 2017 departure dates are the eight-day “Castles along the Rhine” (July 12 and July 19), the 10-day “Delightful Danube & Prague” (June 28, July 3 and July 26), the 10-day “Danube Discovery & Prague” (July 28 and Aug. 6), the 10-day “Rhine-Main Discovery & Munich” (July 14 and July 23), the 15-day “Splendors of Italy” (June 30 and July 7), the 10-day “Gems of Northern Italy” (June 30, July 7), the 15-day “Grand European Discovery” (July 23), and the eight-day “Classic Christmas Markets” (Dec. 15). A version of this article appears in print in the April 2017 issue of Vacation Agent Magazine.